At StubHub, our mission is simple: help fans find seats they’ll love, whenever they want. We've been doing it since 2000, and continue to lead the way today. 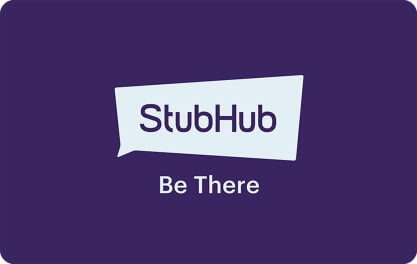 With a StubHub gift card fans can purchase tickets to the games, shows and concerts they want to see. This is one gift they won’t want to return.